Valdez Building Systems is a family owned and operated company that has been based out of Tyler, Texas since 2003. Juan Valdez, has been in the metal business building industry for over 30 years. Juan Valdez has over a thousand post frame and steel frame buildings under his name alone, with every customer being satisfied with his work. His business for the past 10 years as been built solely on referrals, a testament to his great credentials and craftsmanship. Because of this, we ensure that only the highest quality materials and workmanship will be used while erecting your building. 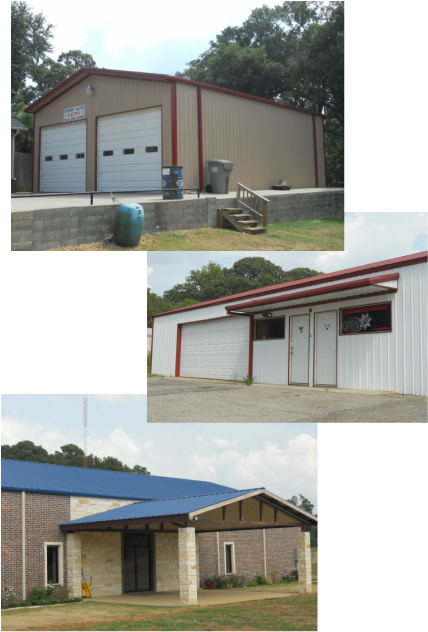 We specialize in all types of metal building projects from small to large. We have become one of the most respected post frame and steel frame building companies in Texas. We attribute our success to our loyal customers, who we have built great relationships with. We have a strong belief in personalize service and treating our customers the way we like to be treated. Our greatest compliments have always been our customers referrals. We believe that if we take care of our customers and treat them as if they were family, we will continue to build a loyal customer base who will reward us with repeat business, and will refer us to their friends and family members for years to come. Our customers are the reason that Valdez Building Systems has been able to grow and continues to grow . When making your next decision, we hope that you give Valdez Building Systems a considerations to build your next project. You will be choosing a company that has over 30 years of experience in the post frame and steel frame industry. We are a company that stands behind our name so you can rest assure that we will make your project from the highest quality products at a reasonable price. Our mission is to take care and serve our most valuable asset, "The Customer."